The monument house at Keulsekade 25, Utrecht, Netherlands is available for rent: 4 bedrooms, 2 toilets, 1 bathroom and a separate garden house with its own toilet, shower, sink, and tatami sleep area. Front and back gardens. Floor heating. High ceilings. Everything you want in a central location, convenient for shopping and the central station in Utrecht. Available 15 Oct 2013. A year ago Robert and I put up our house in Utrecht, Netherlands for sale and for rent. We wanted neither, of course. But we were on opposite sides of the earth, 12 time zones apart, dealing with a situation that required us to empty our home and take the first offer. Had we sold it, we’d be closing an important chapter in our lives. Luckily the first couple who saw the renovated Dutch monument house fell in love with it and offered to rent it. Whew! We didn’t have to sell it. Thus I never wrote part 2 of my blog: monument house for sale. But we still had to remove everything, including my beloved Steinway. Now it’s up for rent again. Available in mid-October 2013 – the entire house plus the garden house behind it. I wish a musician would rent it — then we would move the 1909 Steinway grand back where it belongs. 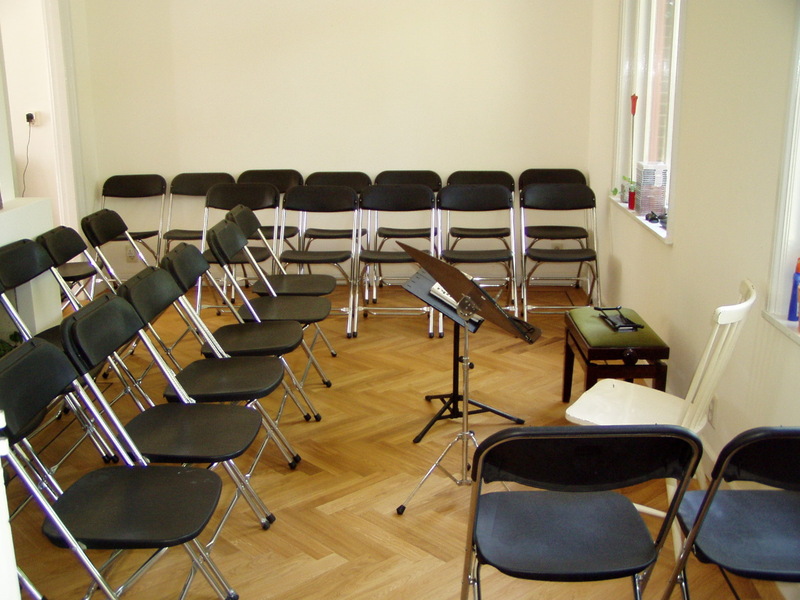 From 2006 to 2011, we met our commitments to hold two concerts per year as part of the Monument House Concert Series in that lovely space. The last one on 2nd July 2011, only a day after the first one, was a good-bye to years of music making. I can’t watch the video in the next blog without tears, but I will try to use it in introducing minimalistic music in the “Introduction to Music Literature” class I’m teaching this semester at University of Hawaii Maui College. If I weren’t in Maui or connecting flights in Chicago, I’d rather be in Amsterdam right now. It’s the abdication of Queen Beatrix for her son. If I weren’t in Maui or connecting flights in Chicago, I would definitely rather be in Amsterdam right now. Only by stumbling upon a friend’s post on Facebook did I learn that the Dutch Queen is abdicating her throne for her son on 30th April 2013. What a historic event it is! Every year, on 30th April, every one in the Netherlands comes out to play. It’s not the present queen’s birthday but that of her mother’s that she chose to declare a public holiday for the nation. There are street parties from morning till night. You can either choose to host your own party, sell your wares outside your house, on your street, or visit other parties. The next day is probably the smelliest and dirtiest day in the country, for the streets reek of stale beer and urine. My first encounter of the Queen’s Birthday Party was in 1995 when I decided to visit the Keukenhof, by way of a conference in Rotterdam. My Dutch friend told me about this public holiday and gave me a glimpse. From that day on, I was hooked. Every 30th April in the Netherlands was a day to enjoy with friends. Here’s a toast to the Queen and the new King —- and all my friends in the Netherlands. Anne shares 5 steps she learned from 10 years of promoting concerts that she attended, organized, produced, hosted, or performed in. One of the most read posts in this blog is “Getting people to come to a concert.” Another name for this exercise is audience development. One goal is to get enough people to come to a concert so that your costs are covered and you can even get a return. Another goal is to have these people that come to your concert come to your next one and, even better, they get others to come. The first concert may be a lot of work (to promote). Each subsequent concert should get easier. After you’ve built a reputation and a mailing list, you should get a full house every time. In the last 10 years of experimenting with different ways to get people to come to my concerts, I’ve identified 5 steps that have worked for me. Identify who you want to come to the concert. This is where you have to analyse your audience make-up. In Houston, I brought my colleagues. In London, I invited my neighbors, colleagues, and new contacts. In the case of Monument House Concert Series in Utrecht, Netherlands, I wanted new people to come so that they can experience the authentic house concert tradition. I knew that previous guests would always come because of the sticky nature of such intimate occasions. I also knew the viral nature of word of mouth. But it was getting new people that was the challenge. If I only expected the same people to come every time, our concert goers would have been a clique. What is the ace of spades? Is it the music? The performer(s)? The composer(s)? The audience? (People want to come to be with other people they expect to see there.) The venue? The occasion? The date/time? (nothing else better to do). The theme? (benefit concert). Identifying the ultimate lure is the key to a yes. Figure out where these folks are located, i.e. how they can be reached. Use the right communication tool. A concert invitation is different from an announcement. You have to write to persuade. You may even have to put a personal touch to it. The result you want is action — which leads to a full house and a guestbook that looks like this. The secret to success is your mailing list. The bigger it is, the higher the chance of drawing an audience. Mailing lists get built over time not over night. This is the subject of yet another blog post. Summary of the “Call for Scores: multi-hand piano duets” project from January to September 2011 with links to reviews of selected individual works by living composers. This was an experimental project to get living composers to submit interesting duets for pianists to play and to get feedback from the pianists on readability, playability, and more. The first round of sightreading took place in Maui: over 3 separate sessions, Karyn Sarring and Anne Ku sightread the 42 duets accepted. This set was short-listed and some sent to Chong Kee Tan, organiser of the mid-May event in San Francisco to get interest. As a result of feedback, it was decided not to have a sightreading competition but a sightreading workshop with piano soiree instead. The event was not publicised to composers because some pianists expressed reservation in sightreading new works in front of them. In spite of this, two Bay Area composers attended. To get more pianists to play, Anne Ku took the printed PDF sheet music to the Netherlands to interest pianists to try the music with her. 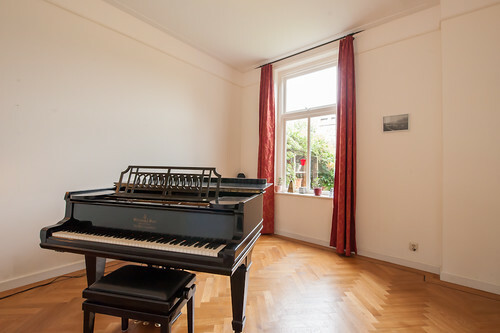 The following pianists (by first name only) in chronological order attempted the duets: Tom, Thera, Brendan, Ahti, Huub, Liesbeth, Carol, and Bart. 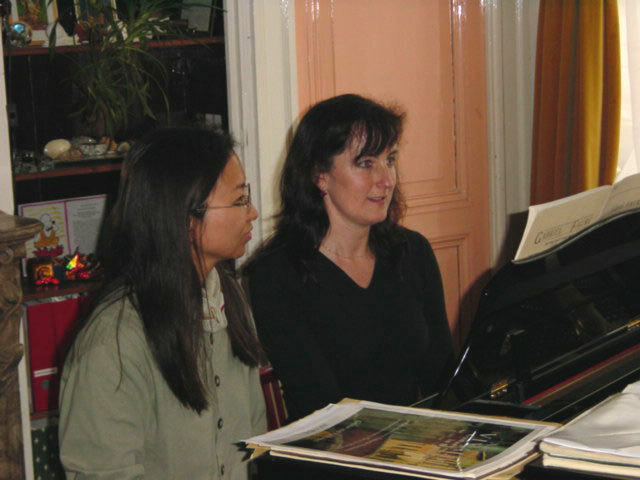 Anne Ku recorded several extracts of sightreading with Texas-based Brendan Kinsella in early July and 3 studied pieces with Utrecht-based Carol Ruiz Gandia in early August 2011. Music that is easy to play and nice to listen to characterises the solo piano works of Amsterdam-based composer Heleen Verleur. 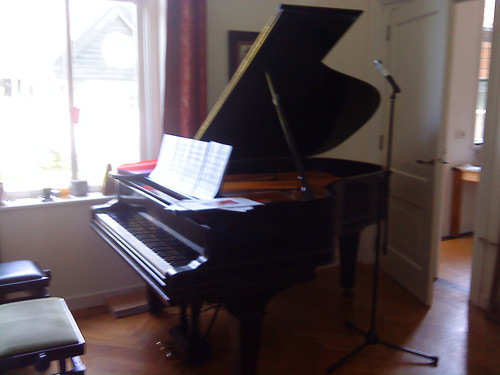 Daniel’s Song is an example, played and recorded by Anne Ku in Utrecht, Netherlands. During my 2.5 months in Utrecht, Netherlands this past summer, I took out sheet music I had collected for years to choose ones worth taking with me to Maui. Some of these pieces were so enjoyable to play that I decided to record them. I was searching for music that’s easy to play and nice to listen to. Contrary to what you may believe, it’s not easy to write music that is easy to play. It’s harder still to write music that’s nice to listen to but not boring after the first time. Good music, I sincerely believe, gets appreciated each time it’s played. It grows on you. Amsterdam-based composer Heleen Verleur is a pianist and piano teacher who has the benefit of observing how her students read and study her compositions. She has written numerous solo and chamber works that involve the piano. I was fortunate to discover her music quite early in what-I-now-call my Dutch era — a decade of infatuation with the Netherlands. I performed her Prelude in d minor and fugue at a concert in Bussum, a village east of Amsterdam, in 2002. I had also introduced her Tango for violin, cello, and piano to my house concert in London and her piano duets to the Monument House Concert Series and a sightreading workshop prior to our piano guitar duo concert in San Francisco. Heleen has also written “Fire” for our piano guitar duo, which we premiered in Spain in 2010. In the “V” section of my music library, I discovered yet more short works for solo piano that she had given me. 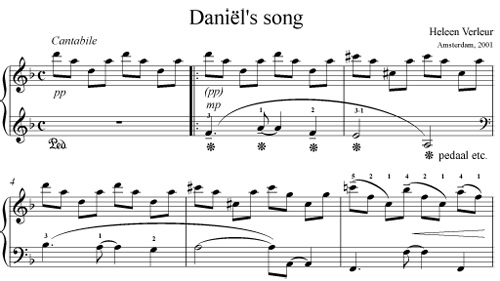 “Daniel’s Song” met my criteria of easy to play and nice to listen to. I decided to record it on my Steinway. Background solo piano music to a yoga session in Maui led one practitioner on a trip down memory lane. Yesterday afternoon, I attended my first yoga session since returning to Maui. The new instructor put on piano music as background to the 1.5 hour session. At first it was not intrusive, for I did not recognise any of the pieces. They seemed like improvisations or new age music that’s not familiar. This sort of music was what I had been collecting as background music to play in hotels and social occasions: music that is unfamiliar and not intrusive. After awhile, the music got repetitive. I could figure out the same pattern of chord progressions. Very tonal. Very predictable. As I lay there on my back with one leg on one side and my arms on the other in a typical “twist” position, I listened to the music and started wondering who wrote these solo piano pieces. More questions arose. Where did the yoga instructor get her music? Would I recognise any piece? Was it all piano music? How did the instructor select these pieces? Was it a pre-compiled selection specifically destined for Vinyasa Yoga? Just when I was about to give up trying to figure out the music, or more importantly, whether I could have played and recorded a selection of my own favourites, I heard a chord that I recognised. It was Debussy’s Clair de Lune. A hesitant introduction to a scene in the movie “Twilight.” I forgot yoga. I started listening actively. This interpretation was different from mine. What’s next? Erik Satie. Gnossiennes number 1. While I was listening and hunting for the correct title – not Gymnopedies but Gnossiennes, I also thought of the composer’s background and life. I was no longer conscious of the yoga moves or the yoga positions but completely absorbed in the classical music world that I had left behind in the Netherlands. Surprisingly, after Satie, came Brahms. It was one of his many intermezzos that took me through my brief stay this past summer in Holland. After Brahms, I expected more romantic music but instead it regressed to an early Baroque piece. Perhaps it was Bach. Perhaps it was a reduced version of a work used in film music. I could not pin it down. But it reminded me of the piano solo transcription of the theme from one of his harpsichord concertos that was used in the movie “Hannah and Her Sisters.” I played and recorded it on my Steinway in Utrecht, Netherlands in early August 2011. When it ended, I came back from my trip down memory lane. What next? Just two chords and I knew it was Chopin. It was a nocturne I had played before. It was not my favourite but it was definitely familiar. I had once aspired to record an entire CD of Chopin for my mother but I became too critical of myself. The yoga session ended when the nocturne ended.